Everyone wants dramatic images for their clients. Clients like dramatic images and dramatic lighting. dramatic lighting makes things look , well, more dramatic and that means stunning images. Dramatic lighting brings with it emotional content which is what moves people. Here are some boudoir photography tips for dramatic lighting which will give you great results. One of our biggest tips is to use a single source of light. Whether it’s a single strobe or a single window with the sunlight coming through or simulating the sun coming through a single window for the single light source. A single light source will give the simplest dramatic lighting and some of the setups we’re about to show you are super simple. This first 2 images were done with a single light source. The light used was a fresnel hot lamp, the type they used in the old Hollywood glamour style of lighting. These lights were what the movie studios used and it’s what the movie studios photographers used as well including George Hurrell. The light is coming from camera left coming down upon the model as a slight angle in order to give the loop style shadow under and next to her nose. There is also a bamboo plant places slightly off to the side of the light and slightly in front of it to cast a shadow on the edge of the model and as background “drama” or texture. This style of lighting is great for Old Hollywood Glamour Boudoir and is simple and very effective. This is one boudoir photography tip we give everyone who is just starting out: Start with one light, even if it’s a hot light and practice with that and get good with it and then try adding two lights. The next image was done the same way as the previous two images, except the light was shifted from camera left to camera right and coming across the front of the model to create a different look just by changing the direction of the lighting. The next image is done with a single strobe light with a softbox attached to it. 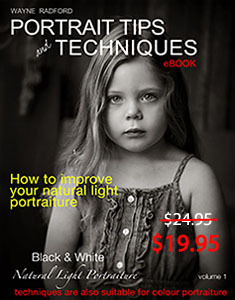 The softbox softens the shadows on the wall and on the model and the single light give the dramatic lighting effects. The single light is used to outline the model as well as illuminate. A single light source can also accentuate the body of the body and make it stand out. The light is coming from camera right, behind a wall and in front of and to the side of the model. This is a type of short lighting, lighting where the source of light illuminate the farther side of the model from the camera. It is used to make people look slimmer and to accentuate an outline. The photography tips for this image is short lighting with a single source of light that outlines the models shape. The next image is a beautiful shower scene in which it looks as though the model is taking a shower at the break of dawn or during the day. IN fact the shot was taken at midnight. The lighting used was a single fresnel light placed outside of the window to create the illusion of sunlight. This is also a variation of short lighting. The light is illuminating the further side of the model from the camera, thus outlining her figure and accentuating the shape. The light is a single source coming through the window and gives the illusion of daylight. It is also a diffused light similar to that of a light with a softbox attached. The light isn’t directly hitting the model and is softened to create soft edges but also give hard edge outlines such as on the face, nose and lips. Your boudoir photography tips for this image is not so much blasting the model with light but carefully placing shadows and outlines. 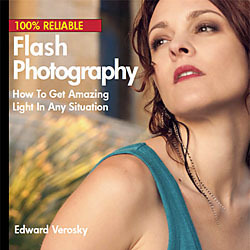 Single light sources are available on Amazon.com. You can get fresnel lights for photography, or single strobe lights and softboxes at reasonable prices. Be sure to check out the rest of our sire for more boudoir photography tips.